Q. What is included in initial cost, and what is monthly $5 for? A. Initial cost is a “membership fee of toletta services.” Monthly payment $5 is a service usage fee. Q. Why is there a minimum two-year contract needed? A. It is because we cannot cover the manufacturing cost of toletta unless we receive the service fee of two years from the customers. There will be no profit for us until the third year of the service, however we would like to contribute to the healthier and happier lives of cats by distributing toletta to as many cats as possible. We appreciate your kind understanding. Q. Is the price for leasing? Or is it for hardware purchase? A. Neither, but it is for service usage. Q. Is it possbile not to pay monthly pay, but purchase hardware itself? A. As toletta is a health care service using both hardware and APP, there is no purchase option. Q. Will $5 per month be needed as long as we use toletta? A. Yes, it will be needed as long as you use the service as it is a service usage fee. Q. It was mentioned that order starts on August 8th. When will it be delivered to us? A. toletta will be delivered to your home after November 22nd, 2018 sequentially. We apologize for keeping you waiting. Q. What if there is a defect on toletta? A. If the defect is attributed to our company, we will take care of it for free of charge. Q. Will there be no charge for the hardware itself? A. Hardwear price is included in the service usage fee. A. We accept payment only by credit cards (Visa/Mastercard/American Express/DISCOVER/JCB/Diners Club) or debit cards (with logo of Visa/Mastercard/American Express). Please kindly understand that the payment by cash, bank transfer, or any other methods are not available. Q. What about the shipping fee? A. We ask for the customers to pay shipping fee. $22 (tax excluded) per toletta to be sent to throughout Japan. (Shipping fees to outside Japan will be set in the future.) Shipping fee will be charged before shipping. Q. How can we cancel a contract? A. Please proceed cancellation on toletta APP by the end of the day of a month before cancellation month. Cancellation will be completed at the end of next month after the month when cancellation request has been sent. * We do not accept any cancellation request by TEL, FAX, letters, or attorney. We appreciate your kind understanding. Q. What if cancelling contract within minimum contract period of 2 years? A. In case of midterm cancellation, we ask for cancellation penalty. The price will be the remaining debt amount of 2 years. Q. After contract renewal, will there be cancellation penalty needed to be paid? A. Once the contract is renewed (anytime after 2 years of usage), there will be no cancellation penalty needed. Q. If installing two tolettas at home, will there be service usage fee of $10 per month ($5/month * 2) needed? A. Yes, as service fee is for each toletta and not per the number of cats, it will be $10/month for 2 tolettas. Q. What is the necessary environment? A. There will be 2.4GHz (802.11 b/g/n) Wi-Fi environment needed and power requirement is AC 100V with one plug per toletta. Also, current specifications are only for Japan domestic use. Current machine cannot be used outside Japan. Q. When using multiple tolettas at home, is it possible to check each data altogether? A. Yes, toletta APP can manage each data of multiple tolettas in one account. It is possible for toletta APP to integrate all data of multiple tolettas at home. Q. 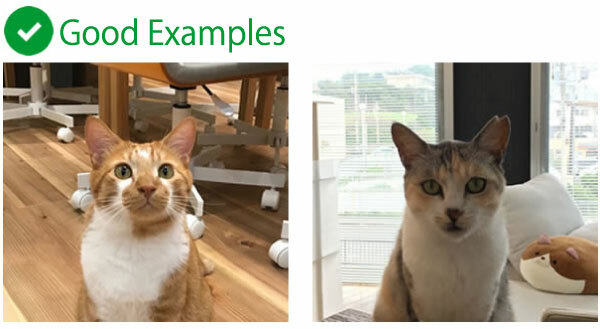 Can toletta distinguish look-alike cats? A. It is possible if the owner can distinguish them on the picture. Q. How many cats can toletta recognize? A. There is no limit on the number of cats to recognize. Q. Is it possible for toletta to recognize each cat even in the dark place? A. Yes, toletta can recognize each cat as there is LED light on right above the image recognition camera of toletta. LED light is always ON. Q. 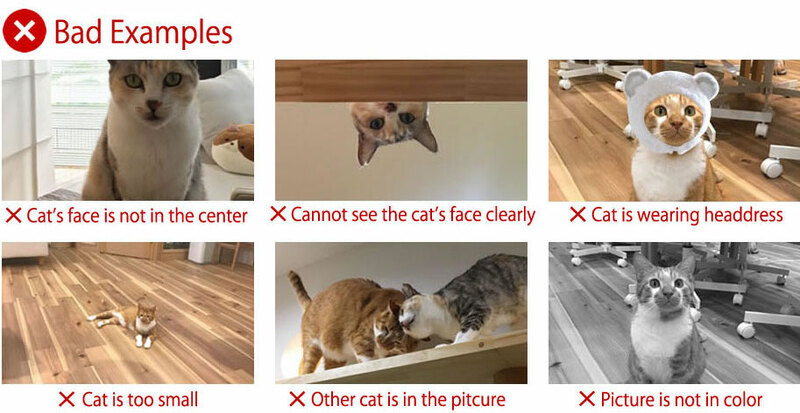 Why does toletta uses camera to recognize cats? A. It is because there are some cats which do not like wearing collars or tags, and we also considered that wearing those items all the time would be very stressful for the cats. Thus we adopted the idea of recognition method which uses no wearing items for cats. Q. Won’t be the camera needed if there is only one cat in the household? In that case, will the price gets cheaper? A. There is only a camera-attached model for toletta at this moment. We appreciate your kind understanding. Q. How big is the litter box? A. Almost the same size as ordinary Japanese systematic cat litter box. Q. How heavy is the litter box? A. Approx. 3.4 kg (7.496 lb). Q. How much electicity does toletta use? A. If consumes approx. 7,200Wh/month. Q. Which part can be washed? A. All the parts other than the camera and scale part can are washable. It is possible to keep the litter box always clean. Q. Is the scoop for cleaning included? A. No, the scoop are not included. Please prepare commercially available products. Q. Is it possible to access toletta from multiple smartphones? A. Yes, it is. For example, it is possible to share the information of toletta with your family members. Q. How many people can log in to one APP account? A. There is no limit. 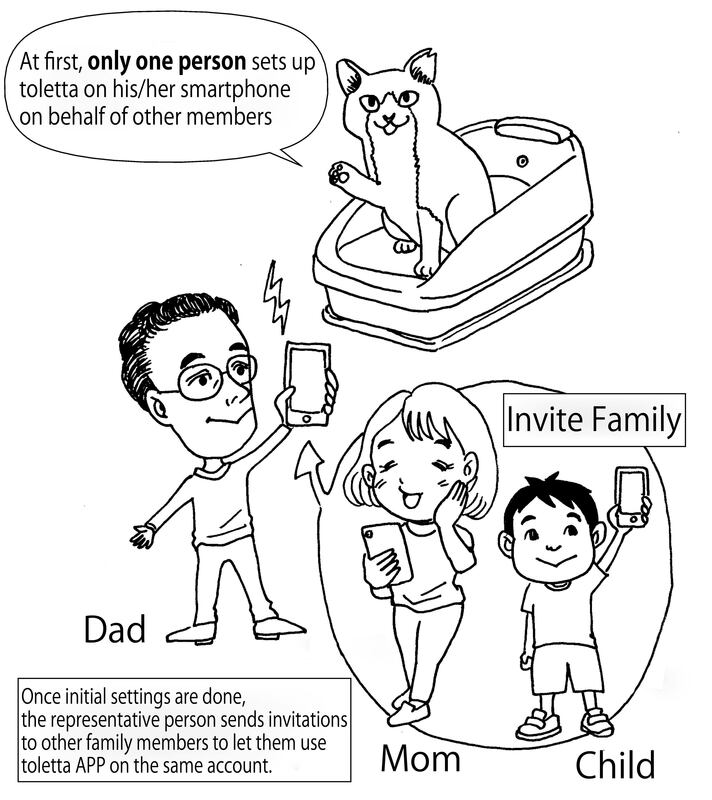 The APP account can be shared with all family members. Q. Can I use toletta without smartphone? A. No, you can’t. toletta needs its smartphone APP. Q. toletta APP can be used on both iPhone and Android smartphones? A. Yes, it can be used on both. Q. Is it possible to share toletta APP account with family members? A. Yes, it is. When sharing the APP account, only one person sets up toletta on APP initially on behalf of other family members, and other members can be invited to the account after initial setup. Q. Is it needed to replace all litter boxes with toletta? A. Yes, it is needed to replace all litter boxes with toletta. If litter box other than toletta is used at the same time, accurate measurement cannot be made. Q. Is it possible to diagnose diseases by using toletta? A. toletta cannot diagnose diseases as it is not a medical device. Please consult a vet about disease diagnosis. Q. Is it OK to move toletta for cleaning? A. 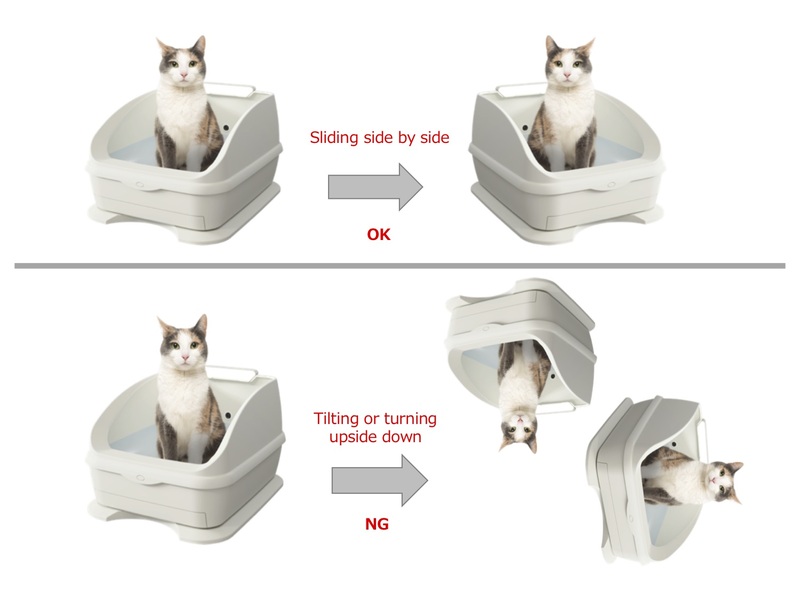 Basically there is no problem if the sensor plate part of toletta (installed under the litter box part) does not face the ground vertically or not be turned upside down. would be no problem. However, there may be an interference in measuring sensors if toletta needs to be tilted for moving. Q. What will be needed when installing toletta? – In case the cat(s) is(are) using existing litter box(es), preparation for changing all the litter boxes in the household to toletta. – Prepare picture(s) of cat(s) using toletta, for registration(*). – Cat’s face needs to be in the center of the picture. – Cat in the picture should not wear headdress. – No other cats should be in the picture. – The picture should be non-photoshopped and in color. Q. What if the cat does not use toletta? A. As cats are not good at drastic change of their environment, we recommend to let them get used to toletta slowly and gradually transfer to toletta from the former litter box. – Install toletta at the same place as former litter box. – Take your cat inside toletta to let the cat smell toletta. – If your cat used to use litter sand which absorbs urine and forms clumps, mix the former sand with new sand for toletta (for systematic litter box, which does not crumble by urine). Gradually reduce the mixing amount of the former sand, and in the end use toletta only with new sand. – In case it is the first time for your cat to use the sand for systematic litter box, smaller grains are recommended. Q. Is it ok to use the type of litter sand that absorbs urine and forms clumps? A. No, only Japanese style litter sand which does not absorb urine and not form clumps, but not crumble by urine can be used on toletta. Q. What kind of litter sand and sheet/pad can be used on toletta? A. Any Japanese style litter sand which does not absorb urine and not form clumps, but not crumble by urine can be used on toletta. Also, any Japanese style sheet/pad can be used.However, small particle types are not recommended because they tend to cause clogging. Q. Is there a special litter sand or sheet/pad that is needed to use toletta? A. No, there is no need to use a special litter or sheet/pad on toletta. Any Japanese style litter sand which does not absorb urine and not form clumps, but not crumble by urine can be used on toletta. Also, any Japanese style sheet/pad can be used. Q. What is spcial offer code? A. It is needed to be entered to receive special offer. * For the subscribers of Anicom Insurance, the code will be described in the email magazine distributed by Anicom Insurance on August 10th, 2018. * For the patients of AC Plaza Kariya Animal Hospital, you can find the code on the flyer placed at the hospital, or the flyer might have been sent to you with “AC Plaza News” published on July 25th, 2018. * Please kindly understand that we cannot answer about any details on this special offer code. Q. What kind of offer is it? A. We offer free service usage for the first year (equivalent to $60, tax excluded) of minimum two years of contract. Q. Will it be possible to be sold out during pre-sales period? A. Yes, as the number of toletta for pre-sales is limited and it can be sold out. Q. When and how long will be the free-offer period? A. Free-offer period will be for a year, from December 1st, 2018 to November 30th, 2019. Please kindly understand there will be service usage fee charged from December 1st, 2018. Q. What happens if I cancel service contract within free-offer period? A. There will be obligation of cancellation fee ($60) payment. Also, the stored data on toletta APP will be unavailable after cancellation.